Azteca Breeders and Stallions Directory - O Horse! 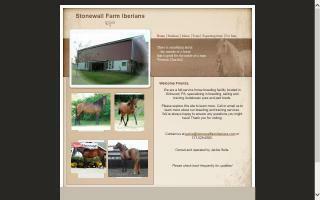 At Carbonear Stables, we bred Purebred Andalusians and Canadian Aztecas. A horse of excellent conformation, temperament, and attitude has the edge to excel in performance. The goal of Carbonear Stables is to enhance these qualities through selectively breeding our mares to suitable Andalusian and Quarter Horse Stallions across North America. Our horses are raised with loving attention. 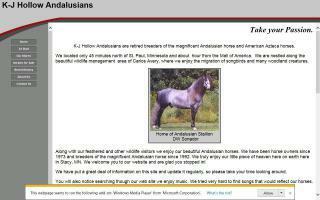 Breeders of Andalusians & American Aztecas. Horses for sale. 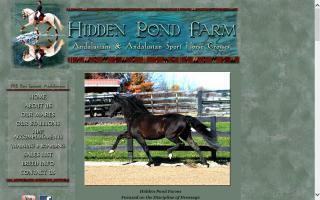 Andalusian horses from a quality breeder. Stallions Galileo and Oro Blanco. We are a full-service horse breeding facility located in Kirkwood, PA, specializing in breeding, selling, and training Andalusian pure and part breds. Breeder and importer of PRE (Pure Raza Española) horses. We breed for dressage movement and also for breeding and halter prospects. We also breed American Aztecas, Iberians, and half-Andalusians. 1.Reaching out to children and youth to share the love of Jesus Christ, Christian values, family life, and love of nature through activities such as horse camps. 2.Morning Star Ranch Ministries is non denominational. We breed the American Azteca Horse, crossing elite Andalusian stallions with top quality American Quarter Horse mares in order to develop beautiful, gentle, yet powerful sport horses for the European market.